You already know how much fun cross stitch can be so we won’t bore you with the details. But do you know what the Sassy Lady Cross Stitch Collection is all about? Hey, we all know someone with such a sarcastic wit that we can’t help but love ‘em – even if their words cut just a bit. That’s where the Sassy Lady Collection comes into play. Know someone who would appreciate a good jab? These are your answer. But do you know what makes a Sassy Lady? Here are some tips to help you sort through your friend list to locate the sassy ones! Sure, not every statement requires a comeback of any kind. But the sassy ones never let such an opportunity pass and will jump on it like a cougar on prey. Sassy comebacks are not rude but they do hide opinions in such a way that if your can decode it, you’ll get the message. Sarcasm is an art. It is cutting edge and cutting. A sharp tongue that is carefully controlled can whip up quite the frenzy with a well-timed, sarcastic punch. The really cool thing about sassy sarcasm is that when it is performed correctly, you get your words heard. Admittedly, and this is sort of the kryptonite all sassy ladies have, your lady friend has fears. However, by having a sassy twist to her perspective it allows her to face those fears by cutting them into small pieces with that sharp tongue and wit. You may need to take cover. Here’s one you need to pay attention to. While you may never really notice that sassy lady in your relative proximity until she lobs a bomb in your direction, this is part of her plan. Mild-mannered she is not because when she wants to be noticed, she gets the job done. Ouch! The aim of the average sassy lady is not between the shoulders but often between the eyes. Experiencing a minor brain fart? A sassy gal pal will capitalize on your weakness and pound you senseless with her words. And you will like it and come back for more. Our Sassy Lady Cross Stitch Collection pretty much sums it up. They are easy to complete, take little time and if you’ve properly identified the target of your affection, she will love your cross stitch gift. She may even share a laugh with you about it as she secretly plots her revenge. 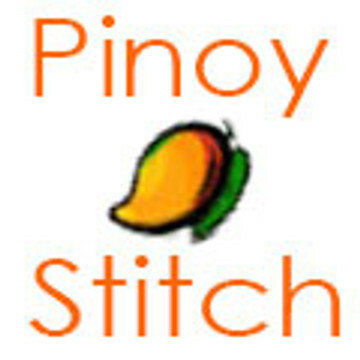 All you have to do it download the cross stitch pattern of your choice and get stitching! Get the full selection here.